We can help save your home from foreclosure. Find out the steps here! We know that a person with tax problems may have many different options. Noyes Law is a “debt relief agency”, helping people file for bankruptcy, tax, and real estate matters since 1986. 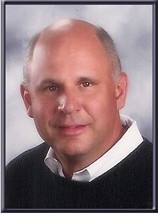 Michael M. Noyes is a licensed Colorado Attorney at Law, and has been practicing law since 1986. Michael M. Noyes is a Licensed Colorado Attorney at Law, a Colorado Certified Public Accountant, and is Board Certified as a Consumer Bankruptcy Attorney by the American Bankruptcy Board of Certification. (Colorado does not certify attorneys as specialists in any field.) We are also a “debt-relief agency” – we help people file for Bankruptcy relief under the Bankruptcy Code. Having practiced law since 1986, he emphasizes bankruptcy, tax, and real estate matters. Should you wish to learn more of Mr. Noyes’ background, please refer to his resume and vitae. For more information about his professional bankruptcy and tax services, see the brief descriptions of Chapter 7 Bankruptcy, Chapter 11 Bankruptcy, and Chapter 13 Bankruptcy processes as well as IRS, other tax issues, and real estate matters. While visiting the website, you are invited to submit an online inquiry and, if you will be traveling to the Noyes Law Office, you can find directions on that same page. IRS AND OTHER TAX PROBLEMS CAN BE SOLVED!! IRS – Payment Plans – Why??? IRS payment plans are a much better way to deal with the IRS than a lien on hour land or levies against your wages or bank accounts. First, they give you piece of mind – a form of insurance – that you will not be getting surprised by IRS collection tactics. Second, if set up properly, they can allow you to pay back your old tax debt at a rate comfortable for you, and if you want, you’ll have the flexibility to pay more on a monthly basis to pay your taxes more quickly. Bankruptcy is a legal process where in times of financial trouble with the aid of an attorney you can eliminate most of your unsecured debt. This usually would include credit cards, loans, medical bills and merchant accounts. It may not include child support and back IRS or State tax debt. © Copyright2019 Noyes Law All Rights Reserved.